UI components and tools for JS, iOS, and Android. Integrated with Programmable Chat, Video, and Voice SDKs. Coming soon to a Twilio SDK near you. Today at SIGNAL, we announced Twilio Frame, a set of UI components and tools for embedding chat, voice and video in your web and mobile apps. Twilio Frame provides you with the tools to quickly build a rich, branded visual experience that works across iOS, Android, and web and is already wired to work with your Twilio apps. Frame is built on top of Twilio’s Chat, Video, and Voice SDKs allowing you to seamlessly move between different communication channels on the same screen. Twilio’s first products, Programmable Voice and Messaging, opened the black box of telecom to millions of web developers. 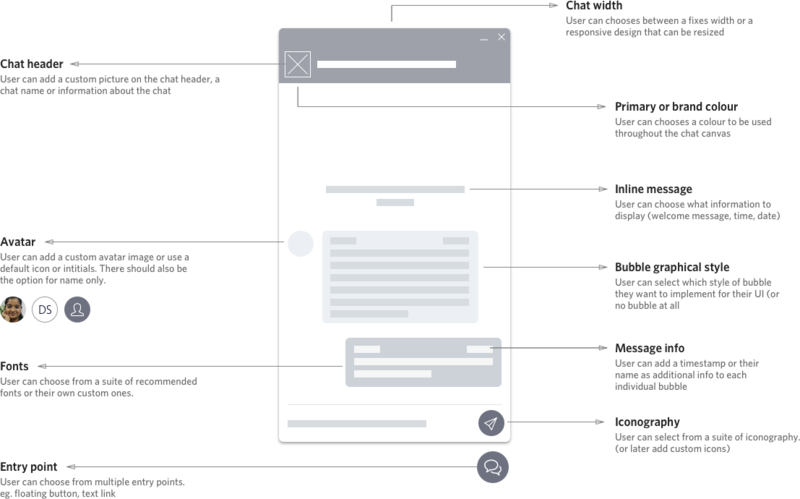 SMS and voice apps don’t have front-end requirements; the user interface is simply the phone’s native dialing or texting app. Since then we’ve introduced new IP-based communications products to embed voice, video, and chat within web and mobile applications. This allows users to communicate in context of what they are working on in the app, authenticate without leaving that app, and take advantage of rich features like typing indicators and screen-sharing. Unfortunately (or fortunately), in-app chat, voice and, video come with an added burden of designing and building a user interface. We’re excited to introduce Twilo Frame because it takes care of that front-end design and build effort. You can create a UI that is engaging, on-brand, and works across different devices – and hopefully shave weeks or months off your design and development effort. Twilio Frame provides frameworks, libraries, and UI elements that let you quickly create a tailored communication experience that’s as unique as your users and your brand. The UI is built on top of Twilio SDKs, so you don’t have to spend time connecting the two. This means you can get to production faster, focus on user experience, and iterate based on customer feedback. If you’re interested in building with Twilio Frame, tell us about your use case and we’ll keep you up to date when they’re ready for you to use. We can’t wait to see what you build with Twilio Frame.